I love seeing fashionable women in their homes. It's my favorite section in magazines and blogs. That's why I'm so excited that Glitter Guide will feature many amazing women and their homes (including closets and work spaces)! 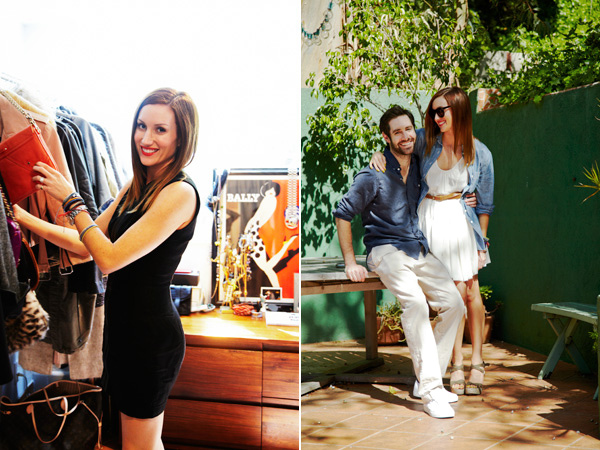 Today Katherine Power's fabulous Los Angeles pad was featured on Refinery 29. Katherine is co-founder and creative director of Who What Wear an online publication that focuses on celebrity style and fashion trends. I've been a fan since their launch in 2006 and admire the success that Katherine and her co-founder Hillary Kerr have achieved. They're both stylish and driven women who continually strive for the best. I look to them as mentors while I work on the launch and success of Glitter Guide. It was no surprise that Katherine's home was as stylish as she is. Her shoe wall is to die for and I love the Jonathan Adler monogrammed pillow (hello next purchase!). Also, check out my friend Christine's cute shopping video. And I love looking into homes of fashion icons...their "closets" are to die for! I'm definitely with you on needing a monogrammed pillow for myself! Love her shoe closet... to die for! I need that pillow as well! Such a sweet pad! brilliant stuff ~ it's always fascinating to see the homes behind the people. mmm...shoe wall... every woman's dream! love her blog, love her clothes and love her so not a shock that i now love her home too! what an amazing woman! i saw this post... her house is beautiful. i met her, she was sweet in person! In my dreams, I have a shoe wall. Was she a dancer? Because that last photo shows off amazing dancer's feet. 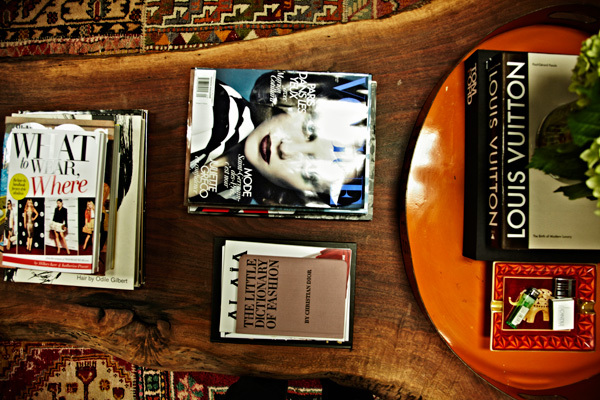 Love her pad- so beautiful and artfully arranged. I'm really looking forward to the Glitter Guide. Great pics of Katherine's home, I love this stuff! her home is so fantastic. I love those yellow pillows and wood piece coffee table. I love when good fashion translates into a stylish living space. I wish it was the same for me! Haha. I love the colors -- what a gorgeous house! what a beautiful house!great post! Love her style this home looks amazing as well. Her house seems amaz! I love it! This woman is so stylish! I'm jealous of this home and her wardrobe! Especially the shoes. This is so beautiful, I love how fresh and bright her home is. Also so incredibly excited for glitter guide!